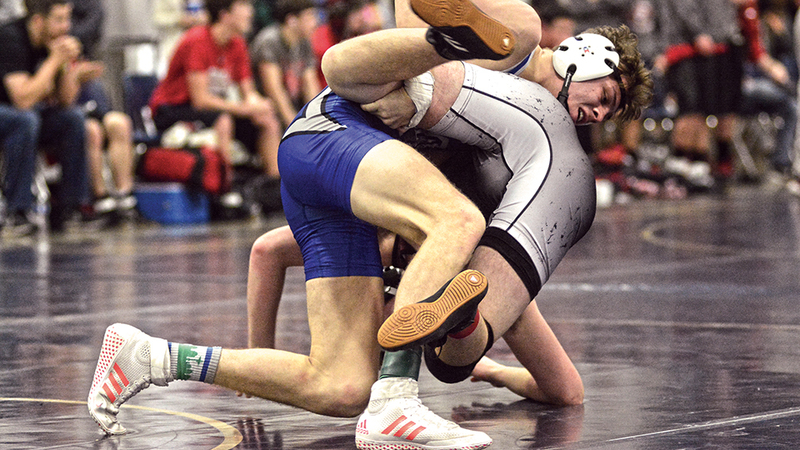 ALBANY—McNary went into the Northwest Duals having not wrestled in nearly three weeks, missing three veterans with illness or injuries, forfeiting four weight classes and had another four spots filled by either first-year or freshmen grapplers. And the results showed as the Celtics finished 1-8 on Thursday, Dec. 29 and Friday, Dec. 30 at the Linn County Fair and Expo. McNary went 0-5 on Thursday, losing to David Douglas, Sherwood, Hillsboro, Redmond and Central. Competing at 152 and 160 pounds, Wyatt Kessler went 8-1 over the two days. After getting pinned by Bryce McKinley of David Douglas to open the tournament, Kessler went on a roll, winning six matches by pin fall, one by technical fall 15-0 and another on a 12-0 major decision. The Celtics got their only team win on Friday, edging St. Helens 36-33 in the middle bracket. At 152 and 160 pounds, Carlos Vincent went 5-4 with four pins and a 13-5 major decision. Sean Burrows also finished 5-4. Wrestling in between 132 and 138 pounds, he had four pins and won another match by forfeit. The surprise of the tournament for McNary was freshman Javier Torres, who went 4-5 in his first varsity action. At 126 pounds, Torres pinned Joshua Smith of Hillsboro for his first win. Before the tournament was over, Torres earned another pin, won two matches by forfeit and lost another in overtime, 15-13, to Blake Hodges of Cleveland. Ebbs said Torres has a feel for the sport. The Celtics were without Brayden Ebbs (illness), Nick Hernandez (injury) and Enrique Vincent (injury). The Celtics will continue to compete against some of the best programs in the state. McNary will begin 2017 on Friday, Jan. 6 with a tournament at Newberg, which placed second in the Northwest Duals behind only Elk Grove. Redmond and David Douglas finished fourth and sixth respectively in the 36-team tournament.